MANILA - The project to procure 12 units of Korean trainer jets worth a total P18.9 billion for the Philippine Air Force continues to hang over issues of downpayment and after-sales service turnaround, but the Department of National Defense, which recommended a counter-offer, remains confident the deal will push through. 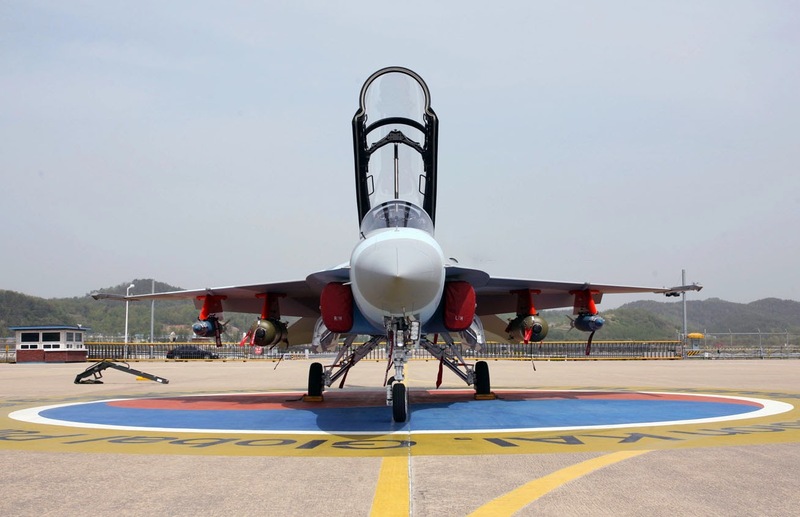 Apparently, sources said, President Benigno Aquino III himself seemed not keen on signing the contract owing to the hurdles that cropped up in DND negotiations with manufacturer Korean Aerospace Incorporation (KAI) for the sale of the 12 FA-50s. Among the key issues, as identified earlier by Undersecretary Fernando Manalo, is the 52 percent “advance payment” sought by KAI before it starts production. Republic Act 9184 only allows 15-percent advance payment. Manalo is head for Finance, Munitions, Installations and Materiel of the DND. The second major issues revolves around KAI’s reluctance to accept the Philippine government’s terms for it to deliver spare parts within 30 to 45 days upon receipt of notice. “The turnaround time, our standard turnaround time is between 30 and 45 days upon receipt of the notice of the proponent, and that the warranty is still valid. They have to deliver the spare parts so we can immediately replace the defective spare parts. I think the warranty is two years or 600 hours, whichever comes first,” said Manalo. He explained that the dispute stems from KAI’s insistence on a 180-day turnaround, which DND deems too long. The issues notwithstanding, Defense Secretary Voltaire Gazmin is optimistic negotiations can still proceed. At Tuesday’s joint DND-Armed Forces New Year Call at Camp Aguinaldo in Quezon City, Gazmin said the department recommended a counteroffer to KAI, which they are asking Malacanang Palace to clear. “Nag-submit na kami ng recommendation to the President for his approval…Ang recommendation nito [We submitted our recommendation to the President for his approval. The recommendation] is progressive billing,” he said. Should the project push through, delivery of the first batch of the units is targeted in 2015. This means delivery will only be completed after President Aquino’s term ends. Military insiders earlier expressed doubts over the wisdom of the FA-50 negotiations, saying among others that the jet platform is not what the country needs for territorial defense. “Painfully, the much touted FA-50 Lead-In Fighter has revealed itself to be newly designed short-range trainer aircraft with recent certifications for only very basic weapons; in effect, just enough rhetoric to label it a Lead-In Fighter, as opposed to its true form, an Advanced Jet Trainer with limited weapons,” one source said. Another source had another track: “As FA-50 negotiations continue and the request for a P10-billion down payment looms, the DND should look towards its counterparts in Brazil, where the Super Tucano is manufactured. After a long number of years of extensive research, study, and consideration, Brazil has just announced its choice for its next Multi-Role Fighter aircraft,” he said.